We offer both Laminated Glass and Tempered Glass for those instances that require or would benefit from the utilization of safety glass. Laminated is available in a variety of thicknesses and glass combinations. Simply put, laminated glass is a product made up of 2 or more layers of glass bonded together with poly-vinyl interlayers. Tempered glass can be fabricated with holes, shape cut and provided with decorative edgework. Remember, Any fabrication must be completed prior to the tempering process. Tempered glass cannot be altered post tempering. 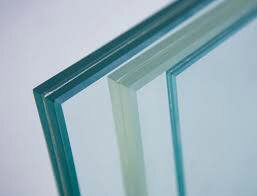 Specialty Safety glazing products with Ballistic Ratings are also available. Security Materials that support UL and HP White specifications for ballistic ratings from Level I to Level III can be provided and installed with ballistic rated hardware and accessories .